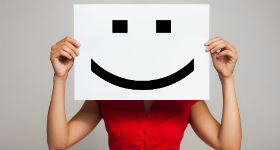 Managed.com recently announced the results of its latest Net Promoter Score analysis. Reaching a claimed industry high of 90.8, the company appears to be doing very well with the loyalty of its customers. As a provider of website hosting and support, said J.R. Brooks, the president of Managed.com, his company tries to make its support services as good as its portfolio of products. He was quoted as saying that customer feedback informs the daily support the company provides. This topic could use a little background about exactly how a Net Promoter Score functions and what it measures. The Score, a proprietary metric of Fred Reichheld, Bain & Company, and Satmetrix, comes with only one question for respondents: “How likely is it that you would recommend our company/product/service to a friend or colleague?” Businesses can quickly ask their customers the question and then analyze their responses, which can range from 0 (not likely at all to recommend) to 10 (extremely likely). Across a wide range of respondents, business can then calculate how many of their customers are Promoters – those people who are likely to recommend products and services – and how many are Detractors – those people unlikely to recommend. This generates a score from -100 to 100, where anything above zero is generally considered good and anything above 50 is considered excellent. Managed.com’s reach above 90 should then explain a lot about its customer base. From that single question, readers can infer that the base is mostly happy with its products and customer service. Managed.com offers support for a range of web hosting development platforms such as WordPress and Drupal and delivers that service every day of the year, 24 hours a day. Its company officials appeared extremely pleased with these latest results and the feedback it offers as a measure of its success.